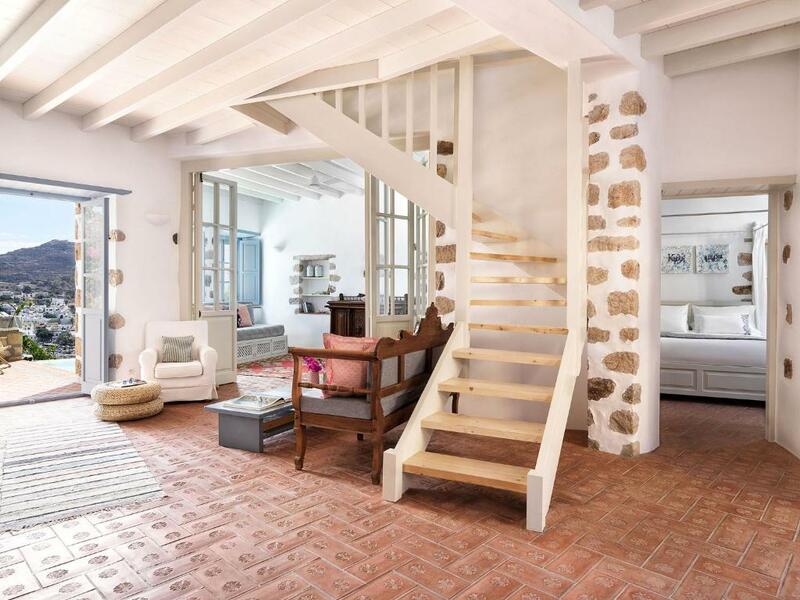 Lock in a great price for Patmos Eye Traditional Luxury Villas – rated 10 by recent guests! Featuring unobstructed panoramic sea views, this spacious holiday home is located in Skala. The air-conditioned unit is 1,300 feet from Patmos Port and features free WiFi throughout. There is a seating area and a kitchen complete with a dishwasher and an oven. A satellite-TV and DVD player, as well as a CD player, are provided. There is a private bathroom with a shower. Shuttle services from the port are offered for free. Free private parking is available on site. When would you like to stay at Patmos Eye Traditional Luxury Villas? This holiday home has a balcony, sea view and kitchenware. If you plan to visit Patmos then Patmos Eye is the place to be: a brand new villa built in the best spot of the island. Breathtaking view, spacious rooms, relaxed decoration and the constant feeling that you wish to stay for ever in this place. A bit of a business woman, a bit of a mum, a bit of a friend but a great Patmos fan. The place where our villa is built is THE spot you wish you'd never have to leave. 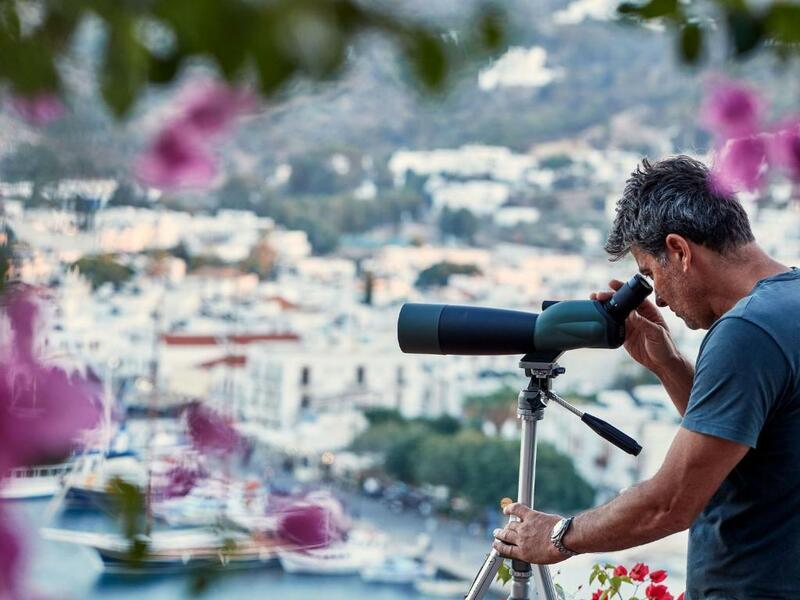 House Rules Patmos Eye Traditional Luxury Villas takes special requests – add in the next step! Please note that concierge services are provided upon request. 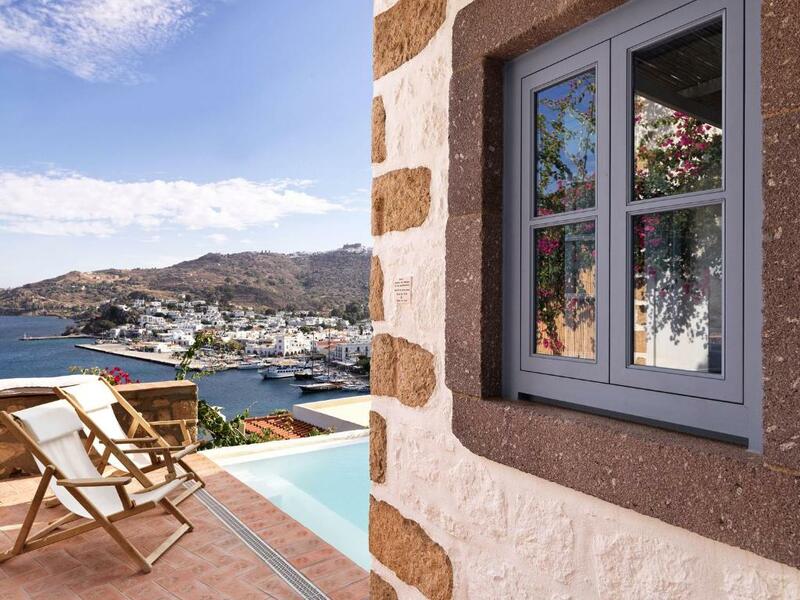 Please inform Patmos Eye Traditional Luxury Villas of your expected arrival time in advance. You can use the Special Requests box when booking, or contact the property directly using the contact details in your confirmation. Our stay in Patmos Eye Villas was an amazing experience. The location was perfect and the villa had magnificent views of the sea and the monastery. The rooms were spacious and very elegant with traditional furniture and a relaxed ambience. Everything was functioning perfectly, the swimming pool was fantastic and the hammam was a bliss. We particularly enjoyed the high standard service, the personal care by our hosts and of course the super delicious home-made breakfast, served fresh everyday on our terrace. We couldn't have been pampered more! We will definitely visit again! We stayed at Patmos Eye Villas for a long weekend in October. The island was great but the house exceeded our expectations. Great location, at the center of Skala (Skala is the port of Patmos and is full of shops, restaurants etc) but away from the noises of the town. We used the small pathway to the port every day and we didn't use our car at all. The house was luxurious but simple. Large spaces, very clean and very elegant. We enjoyed the private hammam everyday (Marietta, the owner, gave us a nice selection of essential oils to add aromatherapy while steam-bathing) and we felt relaxed and rejuvenated. The pool spa towards the view was unforgettable (perfect for evening drinks). The daily breakfast was an experience, with nice servings all handmade, so cute and so mouthwatering! Our hosts, Marietta and Fredy were next to us to help, to give information and to share the best experiences of the island life. We felt pampered and at the same time we enjoyed the serenity of the place. Definitely recommended for families, group of friends but also for couples. Definitely will go back again! When you stay at Patmos Eye, I definitely said "Make yourself at home." We would like to thank Marietta and Fredy for their amazing hospitality. They were a very friendly host, always thinking of ways to make our trip unforgettable. When we stayed at Patmos Eye, it was our 15th wedding anniversary; Mariatta made us a surprise anniversary cake that we never forget. The house was in a spectacular location above a bay on the island of Patmos, stylish, cool, and spacious with amazing view. Villa is based on traditional Patmian design and architecture that reflect the island’s spirit and beauty. We will definitely stay there again! !